Becoming a successful recruiter depends on the improvement of the performance of the recruiter in the coming future. As a recruiter are you ready to improve? If the answer is yes then you need to work on your job to achieve your goal. You can write down things which will improve your efficiency. But if you want to take a big leap then you need to rethink, redo and rebuild. This will bring a big positive change in recruiting people from the way you already are doing. This is what we follow and that is why anyone seeking best recruitment services in India should contact us for best hire for their organization. You must improve quality of hire. You will not get the best hire by defining a person for the job but rather defining the job in detail to best candidates will be effective. You can describe the job to the person what he needs to accomplish in order to be considered successful. You need to set out clear 5-6 performance objective defining the clear and real job expectations from the candidate. Don’t put out ambiguous list of skills, generic competence and experience requirements. When you are talking to the potential candidate on phone then you should use the work history review of the person to determine whether the person is an achiever or not. He or she should be in top league of the peer group or A team of the company he/she is working in. During the interview also assess the person’s accomplishment and check if they are in line with what the hiring company need. It is more important to emphasize on past performance and future potential, rather than just focusing on skills and experience. This is how you raise the talent bar at your company. If the candidate is from the A-Team but the current opening is not a great fit then you can find some other job in your company for the person. Panel interview is a great way to cut your send outs per hire. You can eliminate any possibility of biased hiring decision to a great extent by leading a panel interview of the candidate. If you have a well-organized and diverse interview panel then it can assess the person in 360 degree which reduces the possibility of wrong or incomplete assessment of the person. Good candidates are not always found through a rigorous process of hiring. If you have good references in the industry and you keep a strong network with organizations and potential candidates on all levels like social media platform, conferences and networking events then you will always be in touch with great minds and achievers. You never know who among them can be a perfect choice for your future job requirement. An employee at all levels seeks best working opportunities and career growth. So, once he or she understand what the job expectation and career development opportunity he or she is going to get then finalizing compensation becomes easier for both the candidate and the recruiter. This is especially true for ones who are looking to change jobs. Also for a fresher a detailed understanding of the job, the opportunity and the circumstances is vital. This is a great way to get best people and finalize the compensation. Now you understand that just becoming marginally better as a recruiter it does not take much but to be really successful recruiter you need to work on all aspects of recruitment. As recruitment consultancy providing high quality recruitment services in India we focus on continuous improvement. Choosing a recruitment agency is always a key decision for a business. Once decided to hire a recruitment agency how do you choose best recruitment consultancy? Well, this is always a difficult and significant business decision to make. A good recruitment consultancy plays a huge role for the company. It works like a partner of the company which can add value to your recruitment process. The consultancy achieves it by introducing a strong candidate who is very important for growth of any business. It is true that one poor choice of recruiter can damage a brand and its business. So, if you are looking for best recruitment consultants in Delhi then you can contact us. When a company decides to hire a recruitment consultancy for employment search and screening process then it must consider the reputation, policies, practices of the recruitment consultancy and above all the most important part is cost of the consultancy. Here are a few important considerations while choosing best recruitment consultants in Delhi for the company to find the best candidates for their organization. A company has different needs while hiring employees. It may need temporary, permanent or contractual resources to complete the projects. So when you choose a recruitment agency it is important that you choose an agency which has all these expertise to assess your need and deliver accordingly. A recruitment agency that cannot understand your staffing need properly cannot bring a right employee on board for your organization. A recruitment consultancy can be jack of all trades and master of none. You cannot afford to choose such agency. When you start approaching many consultancies you might find some recruitment agencies who claim to have recruiting expertise and experience for all industry domains but they don’t have clear expertise in any industry. You must find an agency that is the master of your industry. Such agency will have domain knowledge and in-depth understanding about your business, recruitment needs and so it will be able to add more value to your recruitment process by recruiting the best people to your organization within your budget and timeline. As said above a good recruitment consultancy acts as your partner, so it is important to look for such an agency which takes accountability in the whole process of recruitment and even afterwards instead of just doing its job and then shying away if anything goes wrong. A recruitment agency that takes full charge to understand your organization culture, and understands what the vacant role will truly be responsible for achieving is one best suited for your company. And if anything goes wrong the agency must stand to take responsibility and correct the course of employing. Checking the track record and clientele list is also very important when you are looking to choose best recruitment consultants in Delhi. You should visit the website of the consultancy and their client portfolio. This will give you the confidence about the ability of the recruitment agency to execute your recruitment assignments with their past success records. You should also ask for reference. Call some of the companies which are taking the services of the agency so that you can be sure of the agency’s reliability, ethical practices & professionalism along with other things which you might require before you hire the recruitment consultancy. You must check the recruitment cost that you will incur working with the recruitment consultancy for their services. You need to negotiate with the agency on prices so that you save money on costs per hire while comparing with other agencies. However, you also need to note that an agency offering a price at a below market rate might not always be the perfect to go for as cost factor is not the only factor to suggest that the agency does its job well. So, you have clear understanding now about how to Choose Best Recruitment Consultancy Service. And for any assistance or to choose best recruitment consultants in Delhi you can get in touch with us any time. 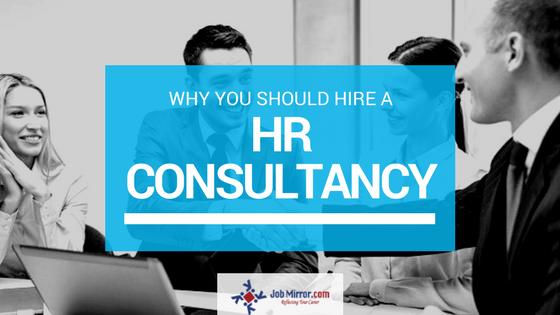 Why you should hire a HR consultancy? Decision of hiring a HR consultancy can be a tough one but when you see the benefits of it then you will consider hiring a HR consultancy big time. The first benefit that you get from this is that you can save an ample amount of money. Employees are the lifeline for any company and this is the reason why one cannot afford to make a bad hire as the cost attached to it is quite high. The cost consists mainly of hiring, training, HR documentation, orientation, conflict resolution and termination. So at the outset it is right to say that to save a company from wastage of money, time and loss it should hire a HR consultancy. So, you can avail best HR consultancy in Delhi NCR without any hassle and quite cost effective from Job Mirror. Every employee of your company is vital part for the growth of the company. They help companies internally when there is a strong team and they increase the number of customers for the company which in turn grows the business. With HR consultancy you can set big goals for your company as they make sure every employee added to your company brings strength to the company. Once the growth goal is set on higher side, the company needs to hire the most qualified individuals available. It is quite labor intensive for a company to resume screening and finding best out of them. In this process you often come to the conclusion that most of the applicants are unqualified or overqualified for the job which means they are totally a mismatch. The HR consultancy that works with you knows your company culture, so the applicants they put forth are appropriate most of the time. 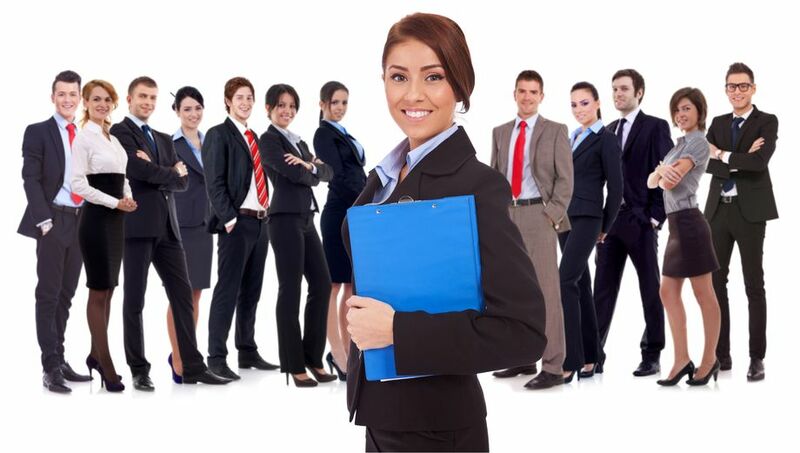 We think if you look for best HR consultancy in Delhi NCR then Job Mirror can help. In the absence of a HR consultancy the HR responsibilities is split among some important people in the company. The cumbersome tasks of hiring, documentation, training, orientation, conflict resolution and termination have to be taken up by some key people in the company. This results in fractured process and lack of consistency which may cost the company in terms of time and disorganization. Sometime the time taken can be too long and thus painful. So, you can reduce or completely remove the burden of these key people in your company by hiring a HR consultancy. Hiring employees is not just about documentation, paying salary to them and more such activities. As the number of employees increases the legal compliance issue also increases. Hiring a HR consultancy can increase compliance, reduce cost and risk. It meets all the government regulatory requirements for your company. This gives you an added advantage as the company is saved from regulatory actions for not meeting the legal compliance. Your employees are your assets. When you get the best talent for your company all your activities around the employee development becomes easier. It gets easier for you to improve internal processes and development of an employee. This also includes improving the internal performance review process, helping employees set goals and managing benefits. For any company deciding the right HR approach for their company, hiring a HR consultancy remains a great option. This is even better for a smaller firm that just needs occasional guidance or assistance in hiring. So, if you decide to hire a true friend for your company in the form of a HR consultancy then you can get best HR consultancy in Delhi NCR choosing us. Author adminPosted on December 18, 2017 Tags best HR consultancy in Delhi NCR, HR Consultancy, Recruitment serviceLeave a comment on Why you should hire a HR consultancy?